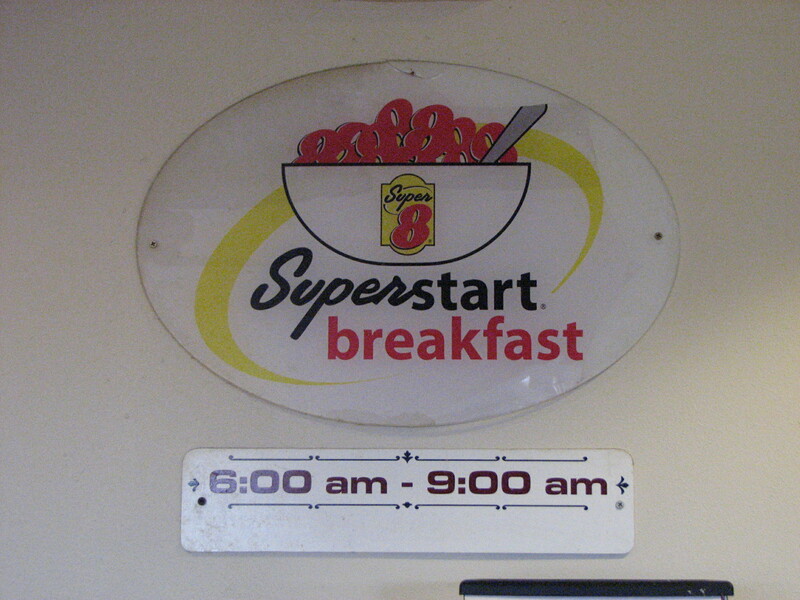 After our Superstart Breakfast this morning at 8am, we loaded up the van and headed out to Amarillo, Texas! From this point forward, we are going to places and states neither of the three of us have ever been, which has to make it ten times more exciting. I feel like a real traveler. Fireworks: Illegal where I’m from. . 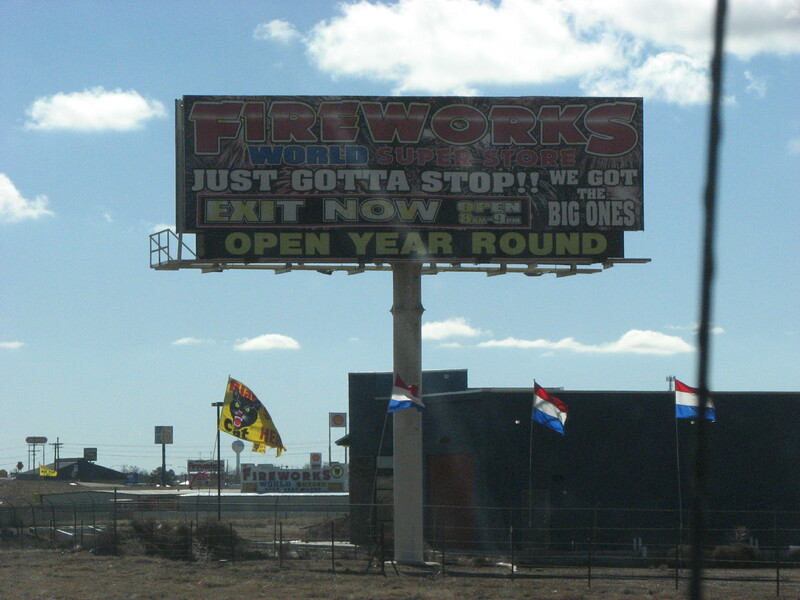 However there were about fifteen to twenty billboards (some right after each other), screaming that we needed to buy some. Is anyone a Sherlock Holmes fan? 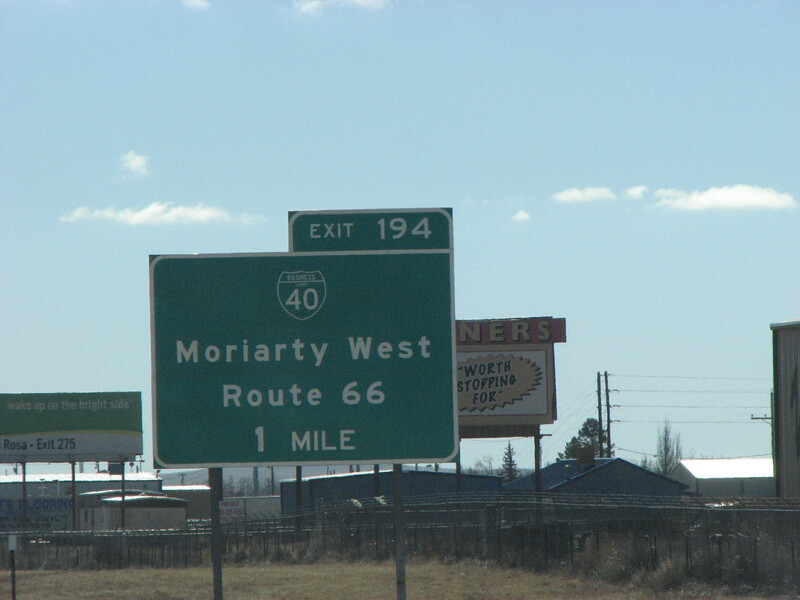 There was actually a billboard for a hotel that read “MORIARTY STAY THE NIGHT HERE” that I’m kicking myself for missing because I wasn’t quick enough to pull my camera out in time. “RAIL ROAD TIES. Buy 10 … Get 2 FREE.” . 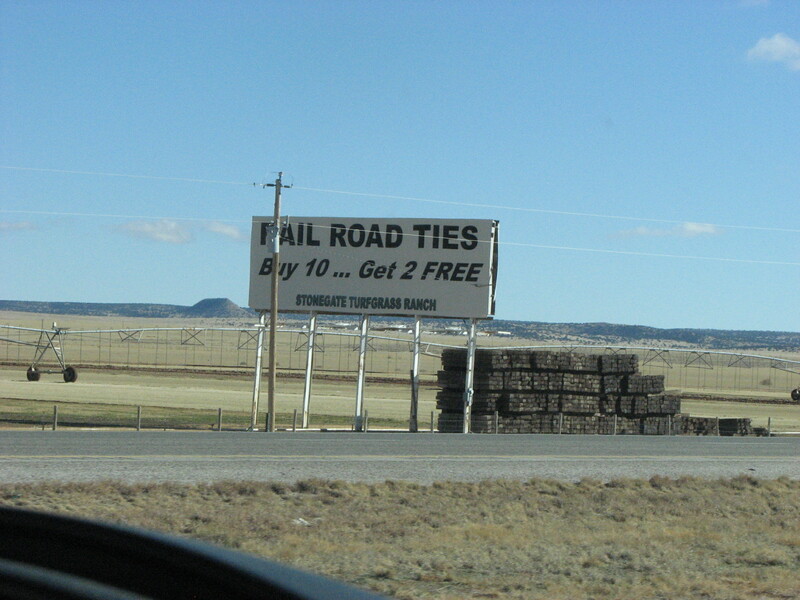 . . I’ll remember that whenever I’m looking to buy ten rail road ties. Ten seems kinda much to be honest, seven on the other hand, maybe. . 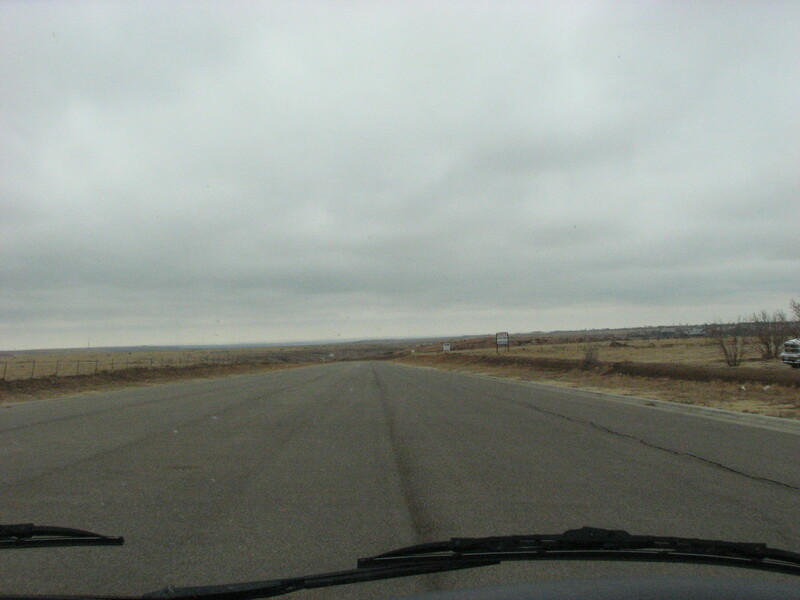 But the most obvious sign that we were finally in Texas wasn’t the cows, though. . . Or the sign. .
No, it was when we saw about five steakhouses within a mile of each other. 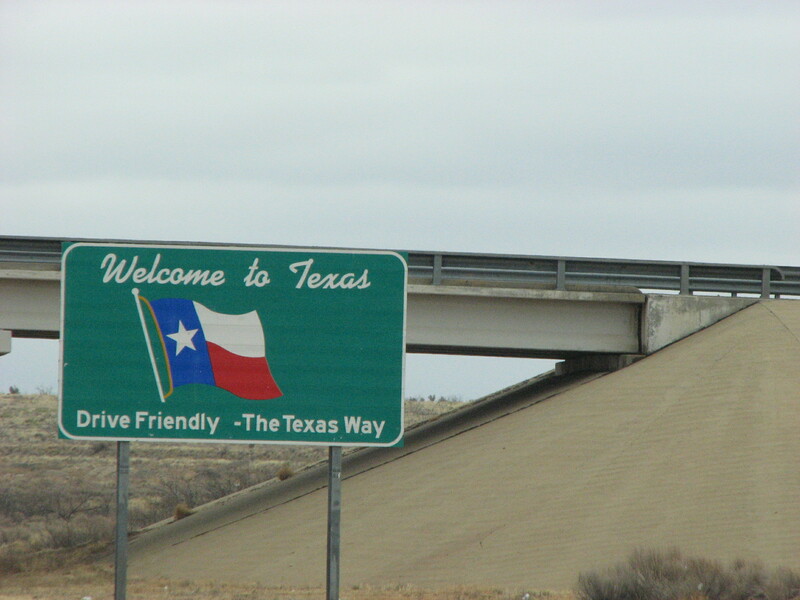 THAT’s when we knew we were in Texas. And that’s when we knew where to go to dinner. The hotel we’re staying at gave us a ticket for a free dessert/appetizer from Hoffbrau Steaks. All I read was “free dessert,” so I was more than willing to try the place out. The three of us had steak, my mom and I getting the New York Strip and my little brother got the smoked Sirloin. 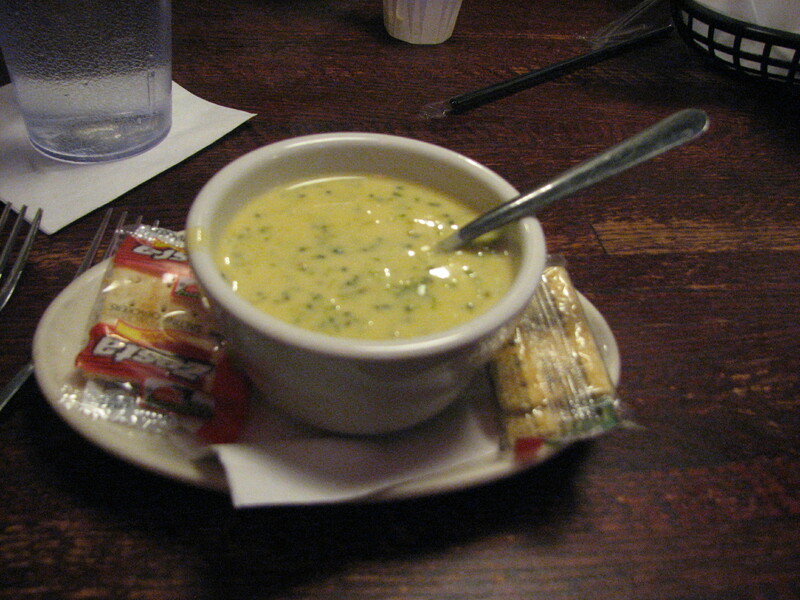 I substituted my salad for a cheese broccoli and jalapeño soup that tasted exactly like it says, like creamy cheese and broccoli with the taste of jalapeño and a spicy little kick. The rolls there are airy and almost totally round, the size of a tennis ball in your hand, and everything tasted great. The steak was seasoned and juicy, and I tried the 57 steak sauce (I think that’s what it’s called), which was orange, tangy, and delicious. 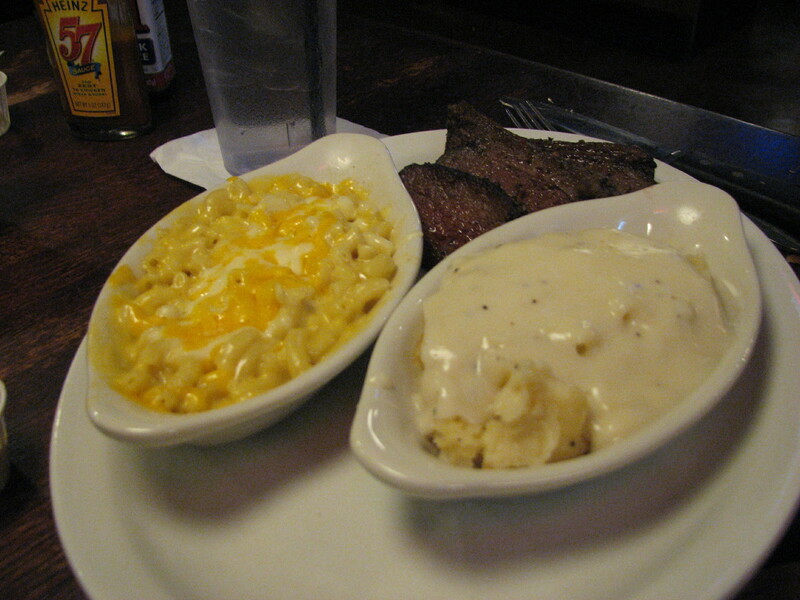 And my little brother got two sides with his smoked sirloin of macaroni and cheese and mashed potatoes, which looked so yummy everyone had to try. For dessert, we got the double chocolate brownie. The waitress was so sweet to bring it with three, extra wide, no-messing-around type spoons. 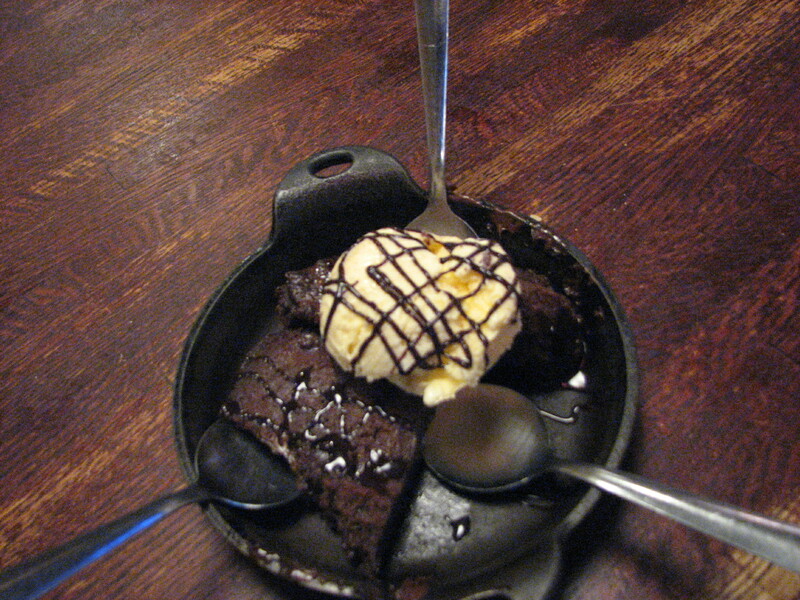 The brownie was hot and mushy compared to the solid texture of the freshly scooped rich vanilla ice cream. If you haven’t found out yet, I highly recommend you check the place out. And eat there. Definitely eat there. 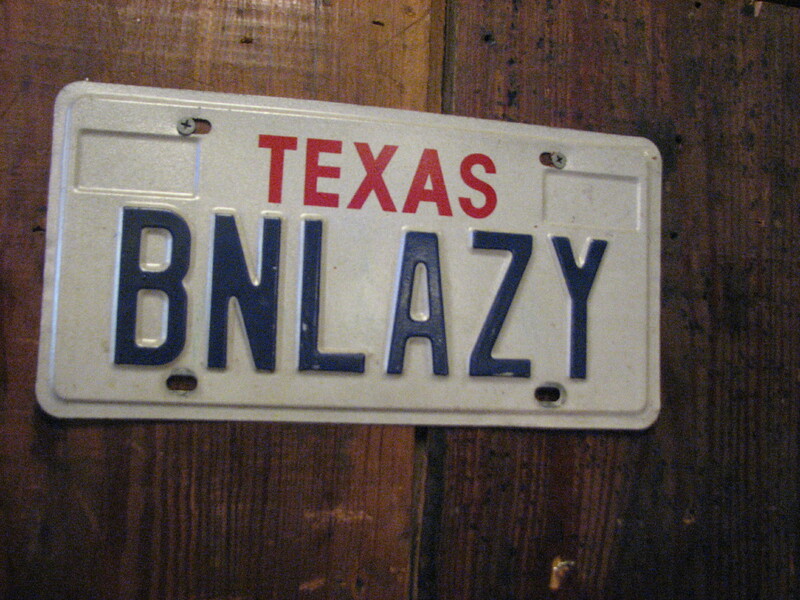 Also pick your favorite license plate out of the maybe fifty or so on the wall. My favorite was right by my head. Stuffed and happy, we were so content that we got to Amarillo in the afternoon, before things were closing, so decided to take a little drive. We drove down a little neighborhood of all brick houses and back to the main road where we saw a sign with an arrow pointing forward. 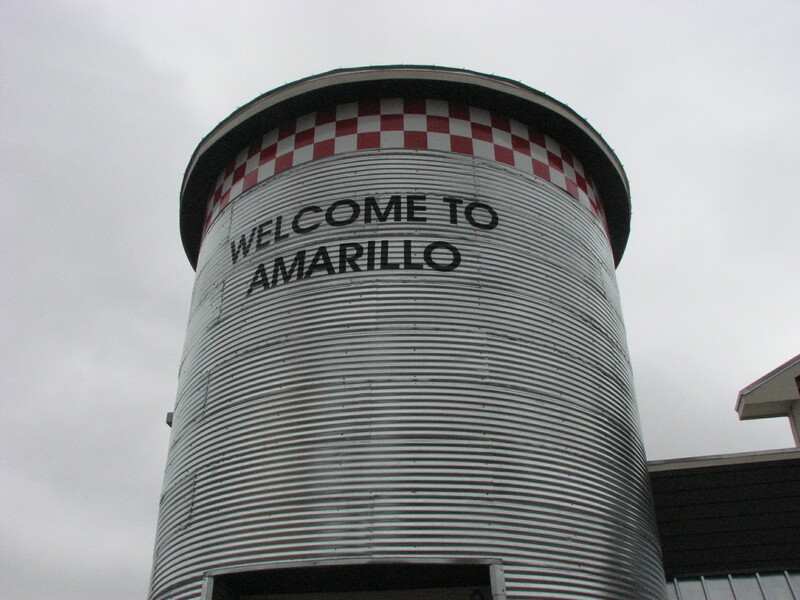 We had read about it in the little Amarillo pamphlet and thought we’d check it out, followed the sign, looking for another sign, or maybe just the Discovery Center, until we found ourselves literally at the edge of town. Sherlock Holmes, type intelligence told us that it’s a possibility we passed it, and so circled back, digging up the pamphlet and attempting to follow it, ended up taking a random left, kept driving, passed the Botanical Gardens and a Ronald McDonald house, until we finally spotted what looked like a huge metal tripod thing, with a cluster of metal balls at the tip of the base. 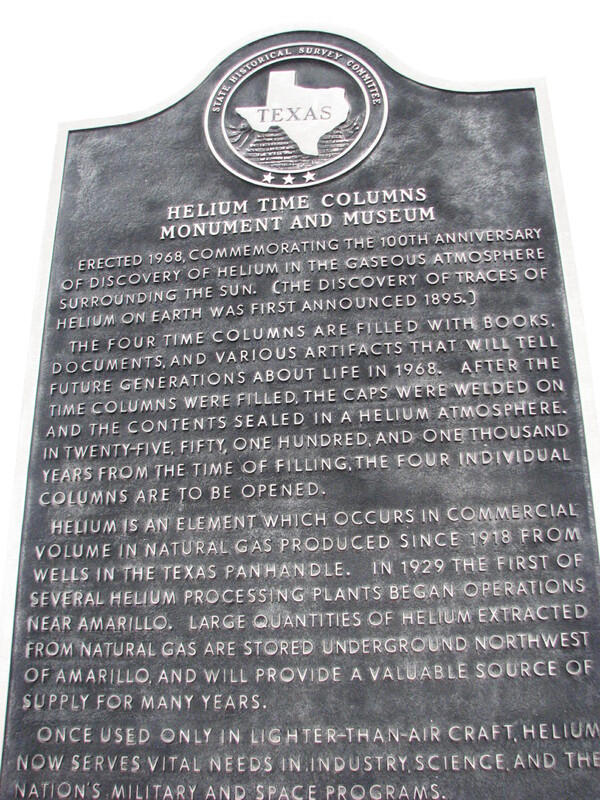 Turns out, the tripod thing is actually a time capsule from 1968, containing whatever memorandum 1968 wanted to share with the future plus helium. I picture unsent love letters and old teddies floating around inside the metal columns. 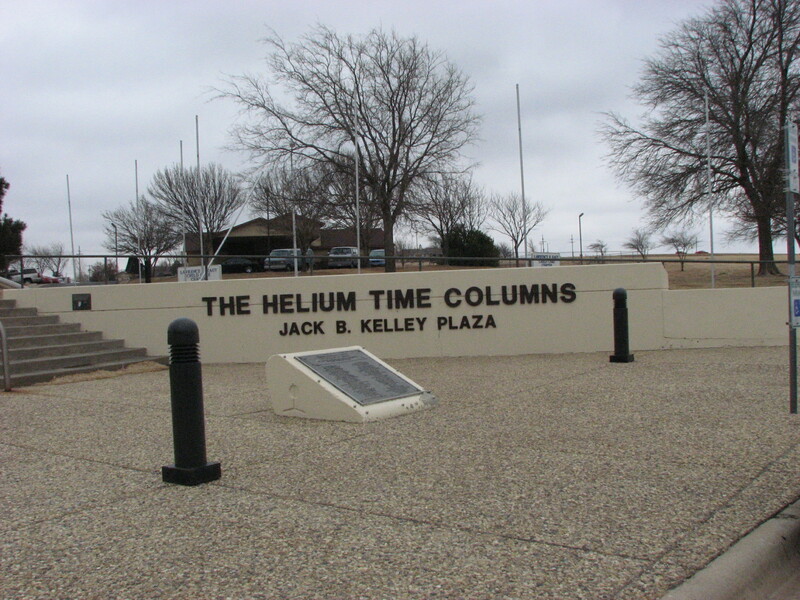 Amarillo is known for it’s discovery of helium, that’s the reason behind the inflated tubes, and if that weren’t cool enough, the tubes also serve a dual purpose of being a humongous sun dial as well. I guess they figure – why stop there? 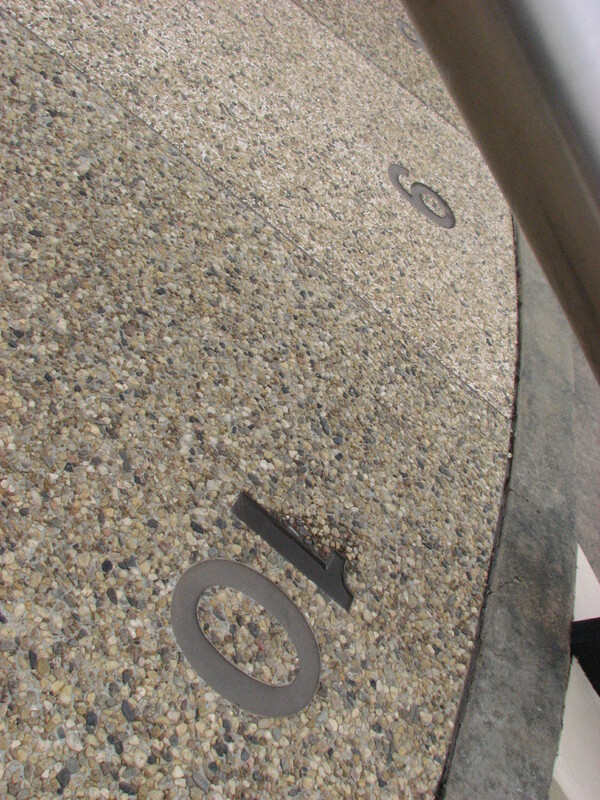 As for the Discovery Center, there turned out to be an entry fee of ten dollars, and upon further inquiry, we were told that it closed in fifteen minutes. 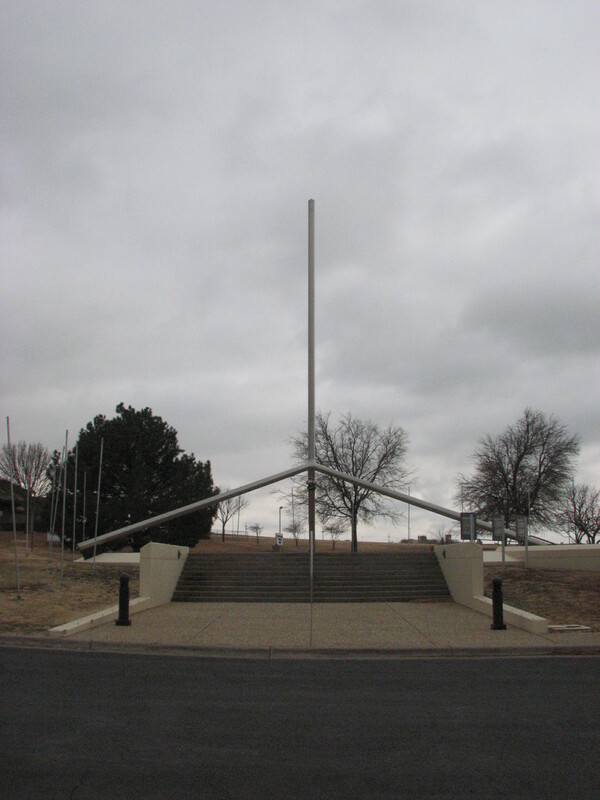 We forgot about the time change in Texas, and it was overcast so the grand sun dial wasn’t of any help to us at the time (no pun intended). We took a back road on our return trip to the hotel, where I spotted something and asked my mom to slow the car so I could take a picture. It’s a painted horse. 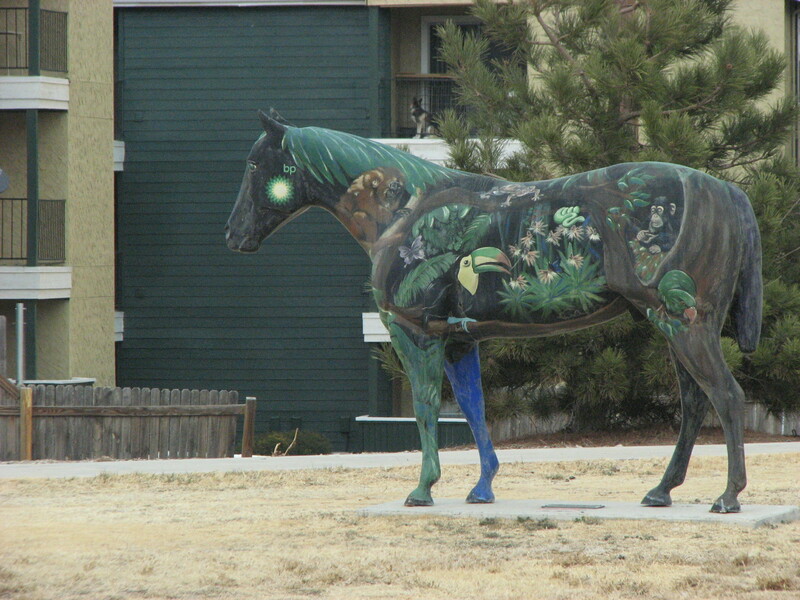 Literally, a painted horse! Standing randomly behind a hospital and a hotel. Next Post Wow.. Welcome to Tulsa! 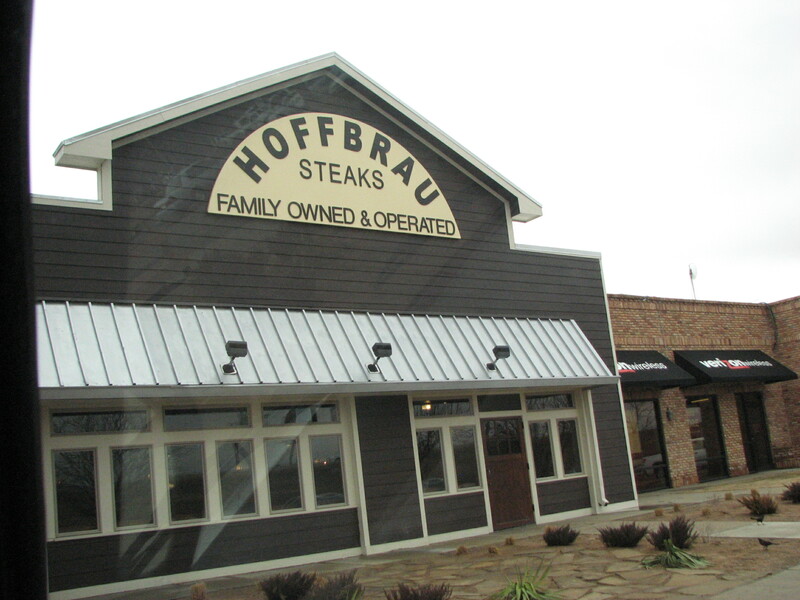 We love your review of Hoffbrau Steaks and will pass it on to our Team. thank you so very much.